Designed for a wide variety of applications and materials. Used in ditch cleaning, sloping, grading and other finishing work. The H55Es hammer is compact and silenced; ideal for sidewalk, driveway, curb, and cinder block demolition in noise restricted areas like hospital zones and residential areas. These breakers seamlessly integrate with your skid steer or mini excavator. Ripper is used to break up hard soil and ice during ground preparation. It is perfectly suited for pipeline and trenching work. 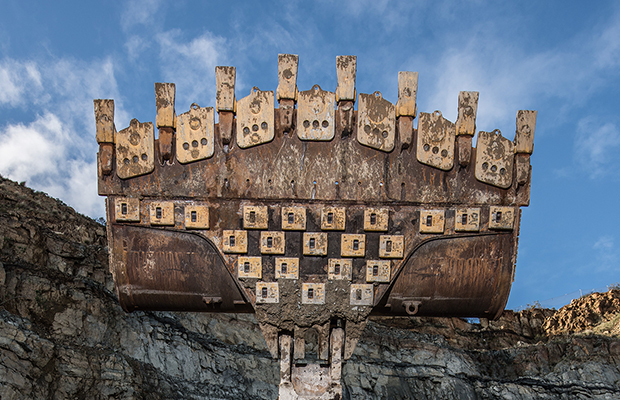 Cat® Thumbs transform your excavator into a versatile material handling machine. Clear, demolish and move whatever you need to. The high quality suspension seat, 76 mm (3 in) retractable seat belt, easy to adjust armrests, and ergonomic layout provide superior comfort and reduce operator fatigue. The new interlocking front window system, updated operator interface and 100% pilot controls provide a best-in-class operator station and customer value. The boom swing and auxiliary hydraulic functions are located at your fingertips providing smooth, easy operation. They also eliminate foot pedals and free up the floor for more room for the operator’s feet. 100% pilot controls provide consistent flow and pressure throughout the life of the machine. This allows all controls to be locked out while starting the machine. 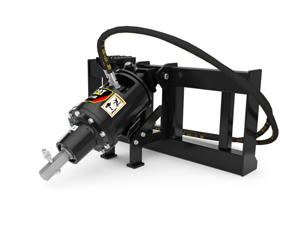 The new High Definition Hydraulic (HDH) System in the E2 machines provides a load sensing and flow sharing capability leading to operational precision, efficient performance and greater control. By combining variable pump efficiency, open center valve simplicity, and a simple architecture the valve achieves controllability. The simple valve architecture reduces heat which leads to a reduction in hydraulic instability and improved overall efficiency. Industry leading bucket rotation of over 200 degrees provides greater material retention during truck loading. It also allows for easier vertical wall digging without repositioning the machine. Each of the E2 models is equipped with the engine solution to best support the power and performance required based on the weight class and application. Also, standard features like auto idle offer consistent lower engine speeds to increase engine life and offer fuel savings. 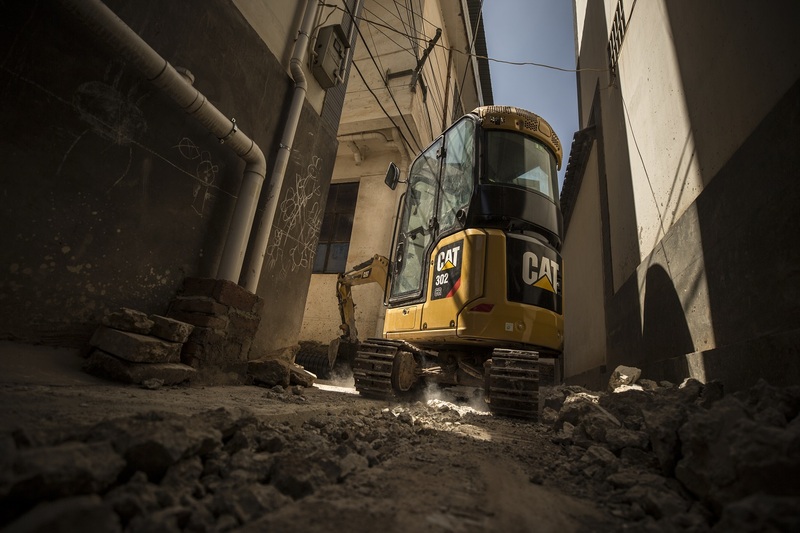 With the standard automatic two speed feature, the machine will automatically balance high speed and torque travel requirements based on job site conditions to give the operator the optimum speed and control. The machine can be put in low gear if slower travel is desired while in tight conditions. A standard anti-theft device now comes on every E2 Series compact excavator. A five digit alphanumeric password is required to start the machine when the anti-theft feature is enabled. There is a master password and up to five user passwords can be created by the owner if desired. Keep your machine safe on a busy job site by locking it when you are not around. The E2 Series machines now have simple adjustability of the flow going down the boom and stick to the work tool. Both the standard main line and optional secondary auxiliary hydraulics can be adjusted on a scale of 1–15 through a few buttons on the control panel. Adjust the flow to your different tools with a simple push of a button. Once this feature is enabled through a button on the monitor, the E2 Series machines can run in continuous flow mode. With the auxiliary hydraulics on the right hand joystick, just hold the roller switch at the desired flow rate and direction for 2.5 seconds and the machine will maintain that flow rate until it is turned off. Maintain hydraulic flow to your tools at any flow and in any direction with the simple push of a button. Change the operating pattern between excavator and backhoe with a simple press of a button from the comfort of the cab. Exclusive push button pattern changer is safe and easy. 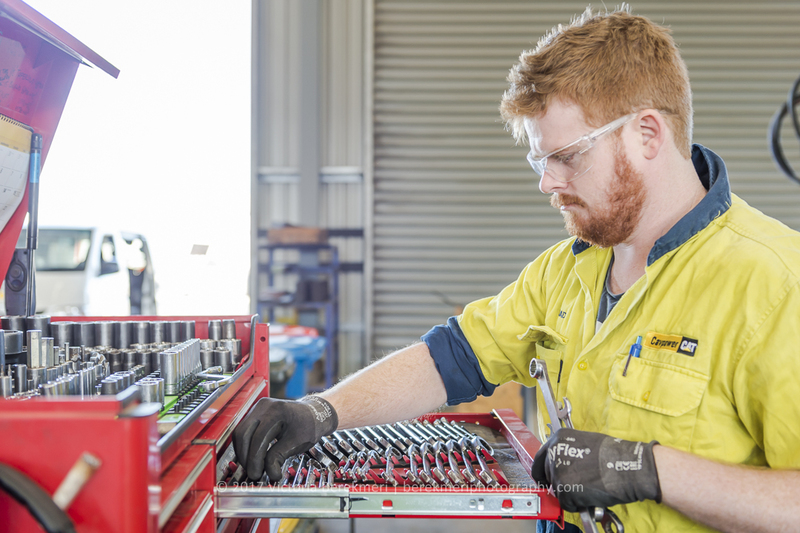 Easily keep track of various maintenance and performance parameters of your machine. Reset the maintenance intervals and ensure the machine is receiving proper care maximizing the life of the machine. The compact radius design gives greater machine versatility and the capability to work within confined areas. This allows the operator to concentrate on the work being done without having to worry about damaging the back of the machine or other job site obstacles. The 304E2 CR model features a zero tail swing design. On this model, the radius of the upper body stays entirely within the width of the undercarriage. The E2 Series is available with a mechanical pin-grabber or a hydraulic pin-grabber quick coupler option. The coupler design uses a wedge to keep the tool secure to the coupler, reducing wear and maintaining a tight fit through the life of the coupler. The hydraulic coupler allows the operator to change tools without leaving the comfort of the cab. Extended service intervals, durable components, and ease of service access points decrease your owning and operating costs while increasing your long-term value. Swing open door provides access to major components and service points including engine oil check and fill, vertically mounted engine oil filter, starter motor and alternator. S·O·SSM oil sampling valve allows easy sampling of the hydraulic fluid for preventative maintenance. Note Cat C2.4 engine meets U.S. EPA Tier 4 Interim/EU Stage IIIA emission standards. 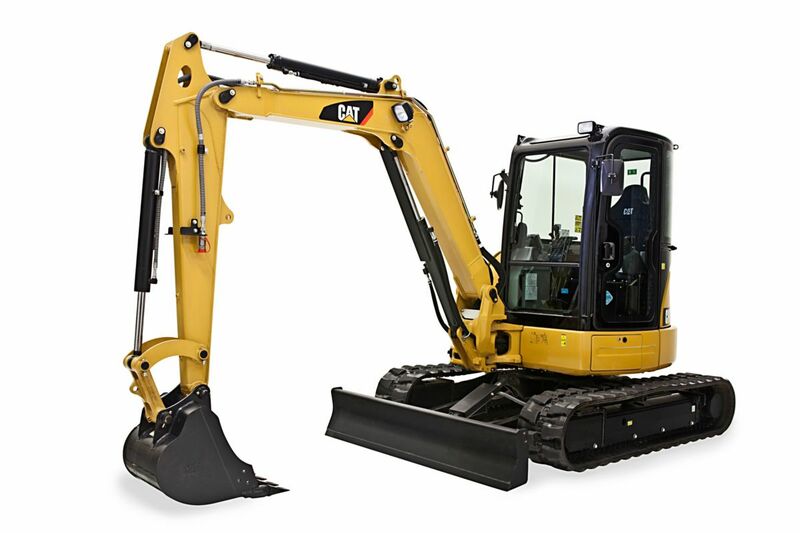 Note Weight includes rubber tracks, bucket, operator, full fuel and auxiliary lines.